I would have preferred a groundbased version, tracked or wheeled, but I will probably still throw in for one. The quality of DFGs kits is exceptional. Am I the only one getting a 5 Star Stories vibe from this model? 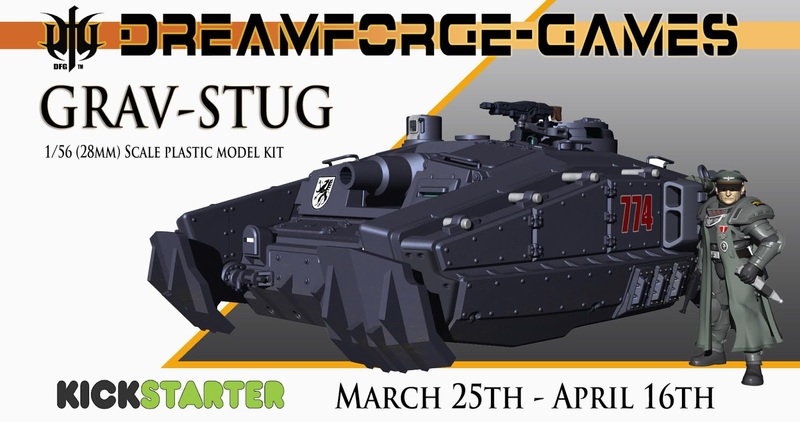 There are plenty of ground based STUGs out there in miniature. I wish it was a bit more science fictiony. The long gun tube makes it look a lot more Scifi. At least the long gun looks scifi. 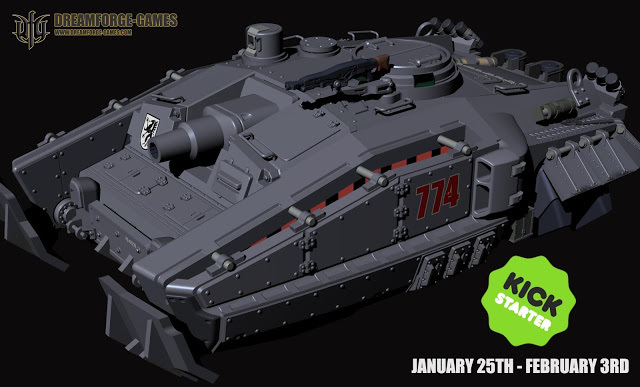 The world needs more hovertanks. Compared to a StuG this one is huge, considering that its basically the same scale (~28mm). Looking at their Keilerkopf you can conveniently park 4 StKfz 251 within then – probably 8 if you cram and stable them. So an upgrade kit for existing WW2 stuff would be nice, but not a replacement for this kit.